Announcement Unique and cute art, gifts, and inspiration perfect for your meditation room, yoga studio, nursery, office, or home. Sending love and light. Unique and cute art, gifts, and inspiration perfect for your meditation room, yoga studio, nursery, office, or home. Sending love and light. So cute! I love the small size. Perfect for my kitchen! 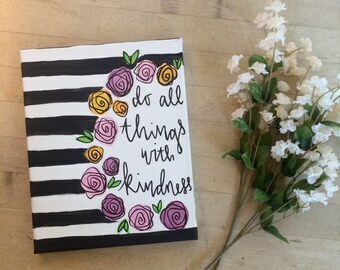 With hand painted flora and fauna, quirky line drawings, carefully sewn one of a kinds, and hand lettered intentions, Cotzie is proud to present you with inspiration and affirmations to boldly display in your home, office, or other space. Originally ThePawPortrait, Cotzie now seeks to provide you with even more art and gifts!